It's finally the weekend and I wish the sun was still around to chill in the garden with some drinks! 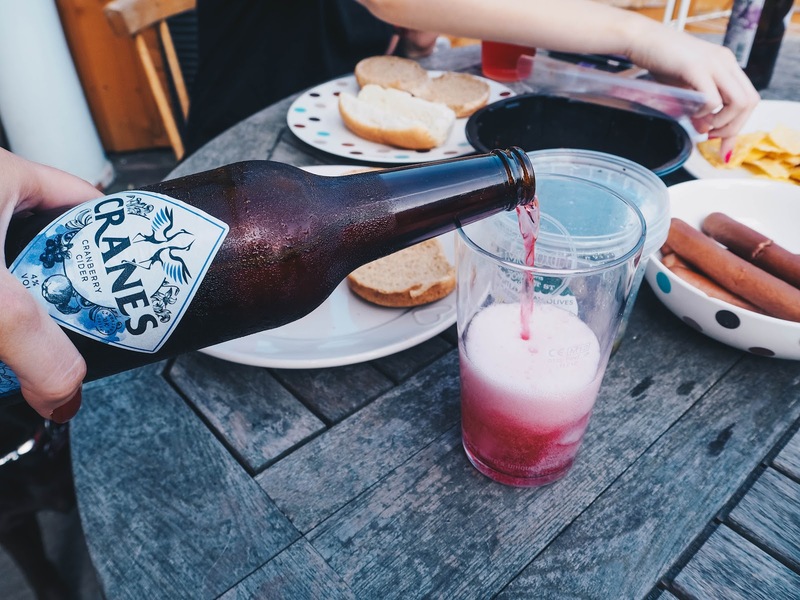 The day before I went on holiday, my sister and I had a little BBQ, so it was the perfect opportunity to each crack open a bottle of cider to wash everything down with. I have been obsessed with these drinks ever since and am sad I am down to my last bottle; which I am definitely saving! I'm not a huge drinker, but I do enjoy a cider; especially in the summer. I think I have tried the majority of ciders on the market, but these are definitely my new found favourite. I will definitely be stocking up on more of these in the near future! 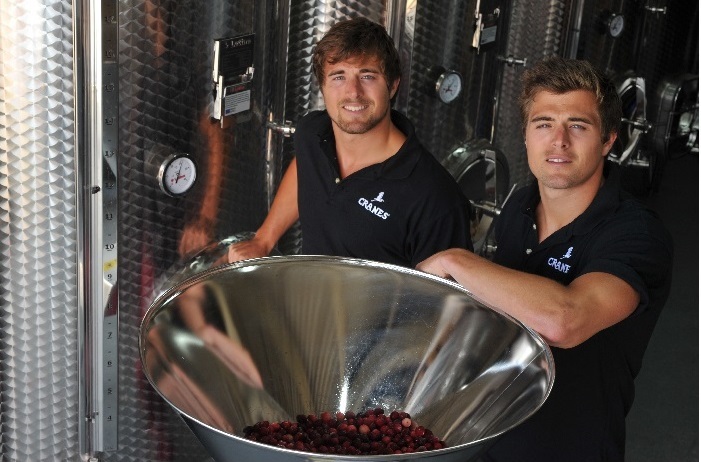 Cranes Ciders is founded by twin brothers, Dan and Ben and is definitely set to take the cider world by storm. They brew the finest cranberries and apples to make their fresh and crisp ciders. They also experiment with other flavours like blueberries and pomegranate. What I love about these drinks other than the fabulous taste, is that they have 30% less calories than most ciders on the market. Perfect for someone like me who is trying to cut down on their sugar and calorie intake. 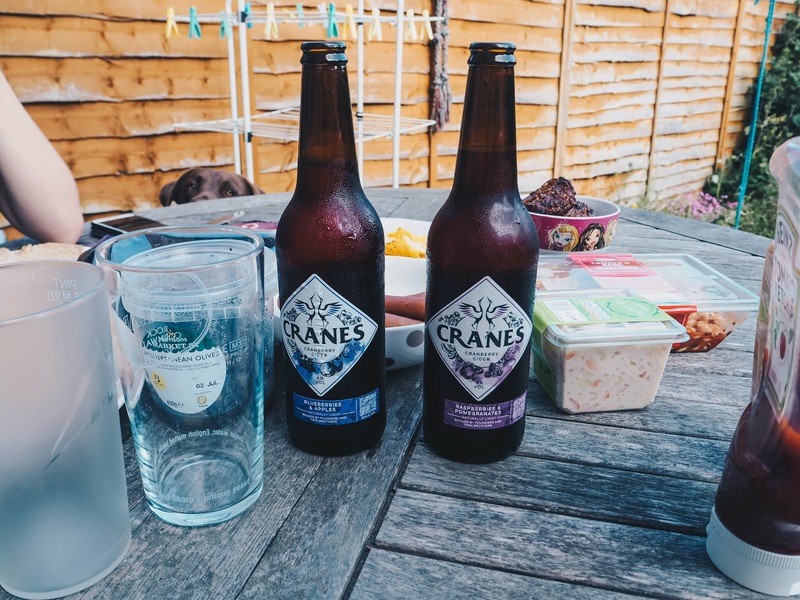 Although not entirely sugar free, Cranes drinks are definitely up there for making you feel less guilty about having an alcoholic beverage with your dinner. There are currently three flavours available; Cranberry & Lime, Blueberry & Apple and Raspberry & Pomegranate. The flavours are all quite similar, but all very distinct too. My personal favourite is the Blueberry & Apple one. Really sweet and almost feels like you're drinking juice! Punchy, refreshing and crisp. Cranes cider are 4% and 12 bottles can be purchased for £27.60 direct from their website. Disclaimer: PR samples. This does not affect the review. I hadn't heard of them either until now, but they're honestly the best tasting ciders I've ever tried! Blueberry and apple sounds lovely. I haven't heard of this make but if I see it on the shelves I wont hesitate to try it. I love fruity cider. I think you can only buy them online in batches of x12 bottles at the moment. I really recommend them though! Ooh, Cranberry and Lime sounds perfect! I do love a fruity cider but have not come across this one before. They are all really tasty to be honest! I love flavoured cider and would love to try the Raspberry & Pomegranate. I reckon you will love them if you like fruity drinks! I do like a flavoured cider over ice on a hot day, really refreshing! I do like a good cider! Never tried this before but sounds like I will be! I hope you enjoy them as much as me! Found them at The Good Food Show..Two years running, stocked up on these, beautiful, cant recommend the blueberry and apple enough. Simply sublime.